The mighty Chao Phraya is the lifeblood of the capital as it flows majestically to the sea it as has done since time immemorial. It is an everyday and familiar part of life in Bangkok but now’s your chance to meet the riverside neighbours you never knew and fall in love with this special part of the city all over again. 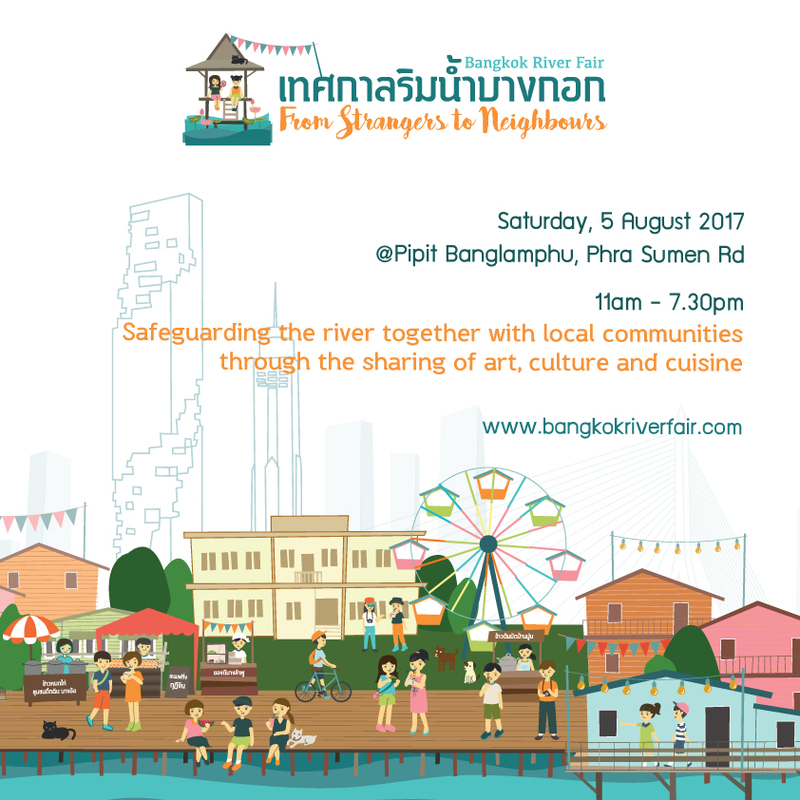 On Friday 5th August 2017 the Pipit Banglamphu Museum on Phra Sumen Road will be holding a “Bangkok River Fair” to reintroduce the riverine way of life to people who might have forgotten something right on their doorstep and introduce the lifestyle of the Chao Phraya’s residents to a whole new group. The fair will feature the unique cuisine, arts, crafts and merchandise of the local communities who have called the Chao Phraya their home for over 200 years and give an insight into the heritage of the people whose traditional way of life sits sedately alongside the gleaming skyscrapers and packed streets of the metropolis. Previous PostPrevious CHATRIUM HOTEL RIVERSIDE BANGKOK IS CHINA’S CHOICE! Next PostNext Silver Waves Chinese Restaurant is Officially One of Bangkok’s Best!